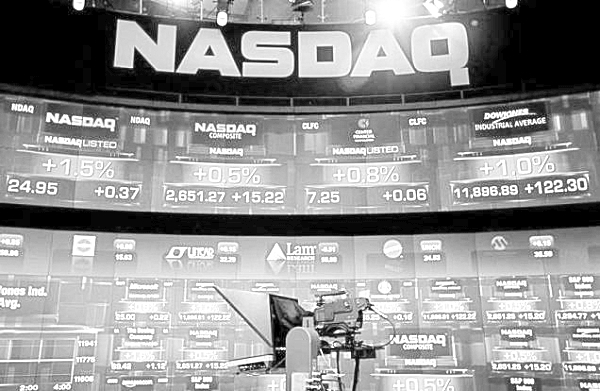 The NASDAQ is the world’s second largest stock market, to only the New York Stock Exchange. It was founded in 1971, and in that time it has become one of the world’s major indicators of just how U.S. companies are performing. At the time of its founding, it was cutting edge, being the world’s only electronic trading quote system, and today, it is still one of the most innovative markets. Like the other major markets in the U.S., the NASDAQ stocks trade from 9:30am to 4:00pm. If you are trading binary options, you will be able to trade these stocks and the index itself after 10:00am in most cases. Still, trading NASDAQ related products is really easy. You can trade the stocks represented in a variety of manners, but in order to have some success, you will need quite a bit of knowledge in regards to what you are doing. For example, a lot of the stocks here are smaller companies, and perhaps not as well known. This is because the NASDAQ’s requirements are a little less stringent than the NYSE, but this doesn’t mean that it is an inferior marketplace. In fact, it’s perhaps even more accessible because of the fact that it is a purely electronic trading ground. You can access it from anywhere in the world thanks to this. A side result is that the NASDAQ attracts a lot of tech stocks. Because it’s such a highly digitalized platform, tech stocks fit right in here. And this goes well beyond the little companies that you might think will be here; you can also find huge companies such as Apple, Google, and Microsoft are all on this exchange. Not only are these companies very popular to trade, they have the ability to sway an entire index because of their size. Apple had its place one time as the largest company in the world, and thanks to this power, a big movement by Apple can move the entire value of the exchange itself. For day traders looking for new opportunities, this is a good thing to keep in mind at all times, especially if you look to make money off of small price changes. One interesting thing to keep in mind is the fact that the NASDAQ has before and after hour trading sessions. This means that it’s not unusual to see prices move even when the markets are not technically open. It’s not always accessible to the general public, but it has made this a very popular place to trade for serious traders. Stocks of all sorts can be found here, but there are some general requirements. To qualify, a company needs to have net tangible assets of $4 million or more, have $50 million in market capitalization or $750,000 in income, and a minimum bid price of $4. This can drop down to $1 after the company is accepted, but it must start out at the higher number. There also needs to be at least 300 different shareholders involved with ownership. This opens up a lot of doors for companies to have their shares for sale here, and this means a lot of chances for traders to find the perfect stock or index to start making money off of.